Situated in Fredericton, this hotel is within 3 mi (5 km) of Fredericton Golf and Curling Club, Fredericton Botanic Garden, and Odell Park. Wilmot Park and Old Government House are also within 3 mi (5 km). Along with a restaurant, this hotel has a business center and laundry facilities. Free WiFi in public areas and free self parking are also provided. Additionally, free newspapers and a picnic area are onsite. All 50 rooms provide conveniences like refrigerators and microwaves, plus free WiFi and cable TV. Free local calls and free toiletries are also available to guests. The hotel offers a restaurant. Wireless Internet access is complimentary. This hotel offers access to a business center. 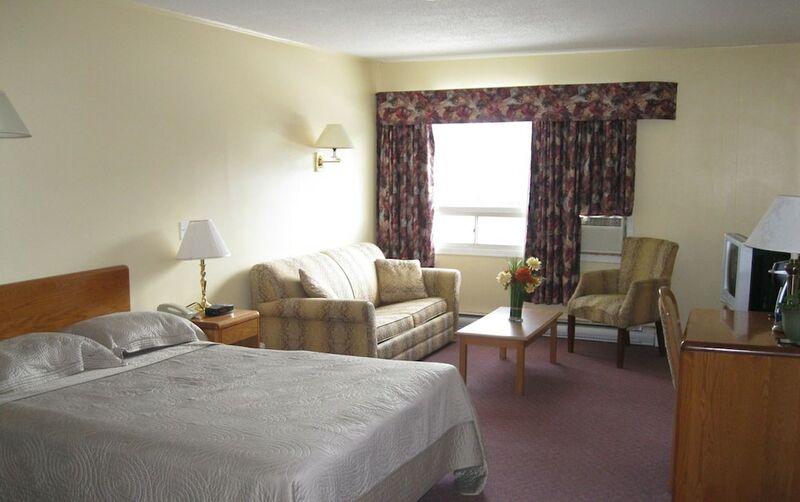 This Fredericton hotel also offers a picnic area, complimentary newspapers in the lobby, and laundry facilities. Onsite self parking is complimentary. Prospect Inn has designated areas for smoking. Uncle Petes Diner - This restaurant serves breakfast, lunch, and dinner. Open daily.